Knowledge is power, especially when it comes to keeping your children safe. While you may have a system in place when you’re away from the house, it’s easy to be a bit more relaxed when you’re at home. 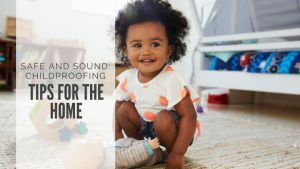 It can sometimes be surprising just how easy it is for kids to get into some form of trouble at home, so taking the time to childproof your home is important! Childproofing your home should start as soon as possible since children grow and develop at different rates. You’ll rest easier knowing that you’ve taken care of these larger items, but remember: nothing replaces good old fashioned adult supervision!